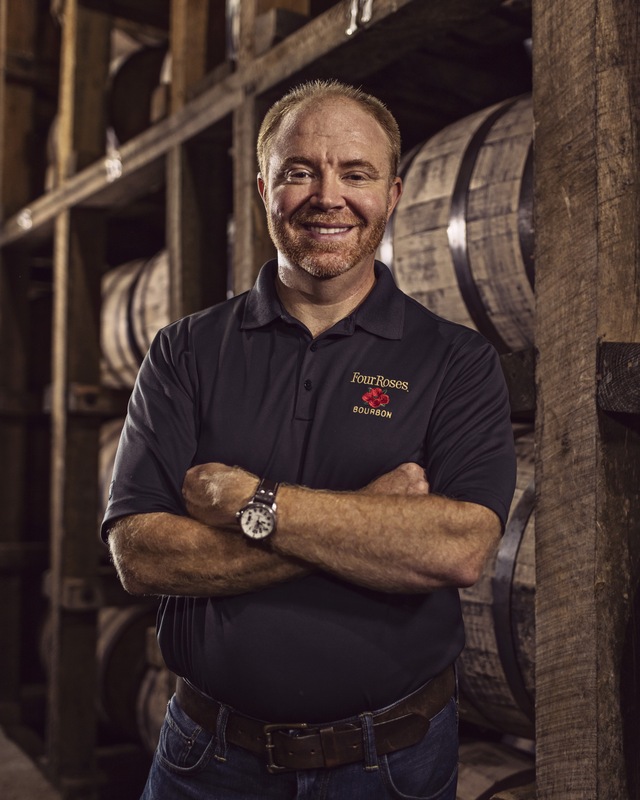 In the summer of 2015, on the eve of assuming the role of Master Distiller of Four Roses, Brent Elliott was kind enough to answer a few of my questions in a short interview. Fast forward a year. We’ve seen the return of the Limited Edition Single Barrel alongside two great batches of the coveted Limited Edition Small Batch. I reached out to Brent to talk about his first year as Master Distiller, the new 2016 Limited Edition Small Batch, and the future. Brent, when we last spoke, you were a couple of weeks away from moving into your current role as Master Distiller. How has your first year treated you? It’s hard to believe it has been a year already. The year has treated me well. Because so many people are interested in Bourbon, interaction with the public is a big part of the role of a modern day Master Distiller. I have always enjoyed talking about Bourbon and Four Roses, so I really enjoy that aspect of the position. Any surprises or bumps along the road? I’ve been a little surprised at the knowledge and passion that people all over the country have about Four Roses and Bourbon in general. We’ve come a long way in a short period of time. How’s the distillery expansion coming along? Very well. As you know, we are doubling our capacity. We don’t necessarily need a 100% increase immediately, but when we regarded quality in the decision to expand, it was clear that we had two options. We could either build an exact duplicate system to our current process on site or do nothing at all. Everything here has been honed to run like clockwork over the course of many years. Exact duplication under the same roof is the best way for us to minimalize risks to our current quality. I’d be remised if I didn’t mention this, so… I’m going to make a prediction: Four Roses will introduce a rye in the next few years. I know you’re currently at full capacity distilling bourbon, but will this expansion allow for a new expression? The idea of a Rye Whiskey from Four Roses has been informally discussed internally for a while. Once we approach the time to commission the expansion, and thus have the capacity, we will need to consider this very seriously. Of all possible extensions, I’d like to see a Rye most. Let’s turn to the 2016 LE Small Batch. What’s your mindset when the process of batching starts? Do you have an idea of what recipes/ages you want to mingle together? In other words, do you have an idea of a specific flavor profile and find whiskies to make that happen? To begin the formulation process, all of the special, potential batches are evaluated until we really feel that we KNOW each batch. Through this process, ideas start to emerge of how various batches might work to complement each other or create interesting flavors. From these ideas, test blends are made and evaluated blindly. Usually I try unique directions to create something different from previous years. Sometimes the results are as expected and other times there are surprises. That’s what keeps it interesting. Once a few “directions” of batch combinations have been selected, more test blends and more evaluations continue until a formula is selected. The hard part is knowing when to stop. A blend can always be improved, but there’s a point when you have to call it complete. It seems that through the blind evaluations, the V and K yeast-based blends tend to do very well year after year. This year’s Limited Edition Small batch was a little different. From the beginning, there was a batch of 12 year old OESO that we built various test blend around…and these test blends kept improving and impressing through the evaluations. The final blend uses that OESO batch as the primary component and you can really taste the uniqueness that batch imparts in the final product. How do you compare the 2015 and 2016 LE Small Batch releases? Which do you prefer? That’s tough. I knew going into the creation of the 2016 that the bar was set pretty high. The minute we completed the formula on the 2015 I knew it was one of the best we’ve ever produced. I would describe the 2015 as a warm, mellow, slightly spicy Bourbon that comes in evenly on the palate and remains subtle and elegant to the end. The 2016 is a bigger Bourbon that starts rich on the palate with complex fruit flavors that fade nicely into delicate spice and light oak notes. Because they are so different I find myself going back and forth on preference depending on the mood of my palate. I’m excited about the results because I think it truly demonstrates our ability to create uniquely different product through the use of our ten recipes. We’re assuming Spring 2017 will bring us a LE Single Barrel release. IF that’s the case, have you started sampling barrels to find just the right recipe/age? In 2014 we announced that, beginning in 2015, we would no longer offer the LE Single barrel on a consistent yearly basis. Because the demand has risen since our first LE release in 2007, and subsequently the number of barrels needed to release a Single Barrel, we realized that with our current older inventory this would be the best decision moving forward. This allows us to maintain the age and quality of both the LE Single Barrel and LE Small Batch. For LE Small Batch we can utilize multiple batches of 10-30 barrels each to create a formula. For the LE Single Barrel we use ~100 plus barrels of one batch. We have some special, older batches with enough barrels, but we decided these batches would be better utilized as potential batches for the LE Small Batch. This year, however, Four Roses wanted to put out a spring release to introduce me as the new Master Distiller…so we made an exception and released the LE Single Barrel, Elliott’s Select. I’m sorry to say that moving forward we will not offer a LE Single Barrel every year. Stay tuned for my tasting notes for the 2016 Limited Edition Small Batch. Thanks to Brent Elliott for taking the time to answer these questions.